Resistant to UV and weather, UV Duck Tape from PSP Marine Tapes is a complete breakthrough for regular users of this essential product. Designed as a high tensile cloth tape which can be easily torn by hand, this tape is a ‘must have’ quick-fix for most on board repair applications. The vigorous adhesive is designed to bond readily to most surfaces. The traditional downside to Duck Tape has been the sticky residue left behind, which can often be extremely difficult to remove if left too long in the sun. 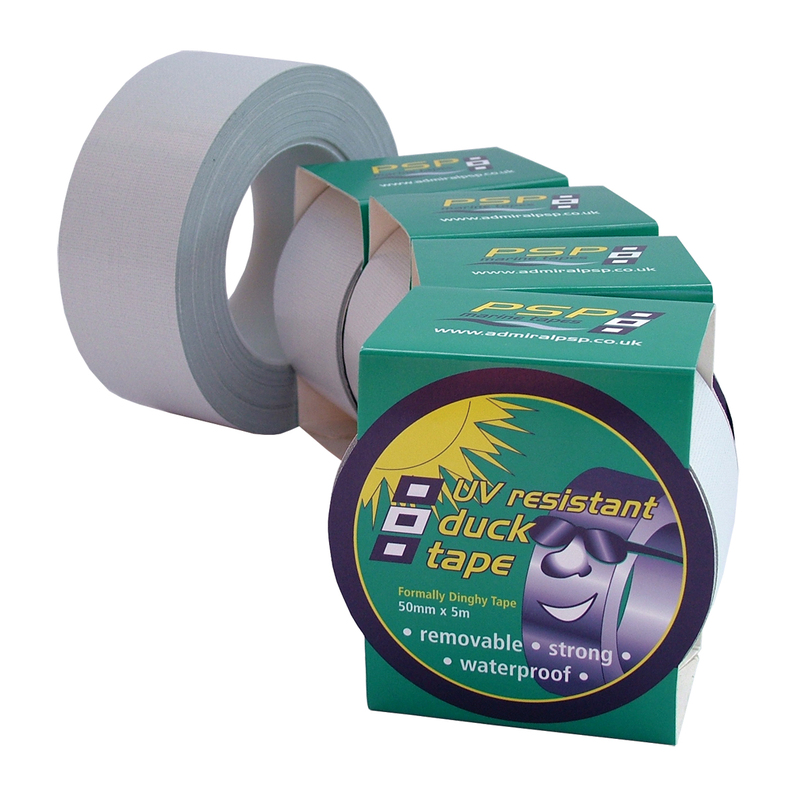 However, UV Duck Tape will not degrade and can be removed without leaving any dry or sticky residue behind! PSP Marine Tapes produce products to meet the discerning requirements of the marine world; in this instance to provide a top quality repair tape, which will leave no mess behind which might require removal with hazardous cleaners. This is part of ongoing development to make sure that PSP’s specialist products work for their customers and that they have the right solution to hand for on board repairs. Availability: Via retailers and commercial distributors worldwide. If you experience difficulties obtaining UV Duck Tape, please contact PSP direct.